A 36-year-old kids’ fantasy novel comes to UK and US screens this month. ‘Ronya, the Robber’s Daughter’ is by Astrid Lindgren, author of Pippi Longstocking. It’s the kind of international confluence that catches our eye here at Publishing Perspectives. Both the UK and US markets later this month will see an English language version of an animated TV series in Japan. 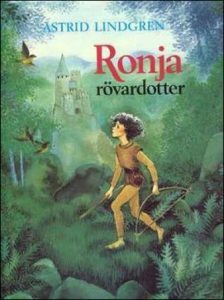 The Japanese series is based on a Swedish children’s book by Astrid Lindgren, Ronja the Robber’s Daughter (Ronja Rövardotter in its original Swedish), first published in 1981. Amazon Studios will launch the English version on January 27. 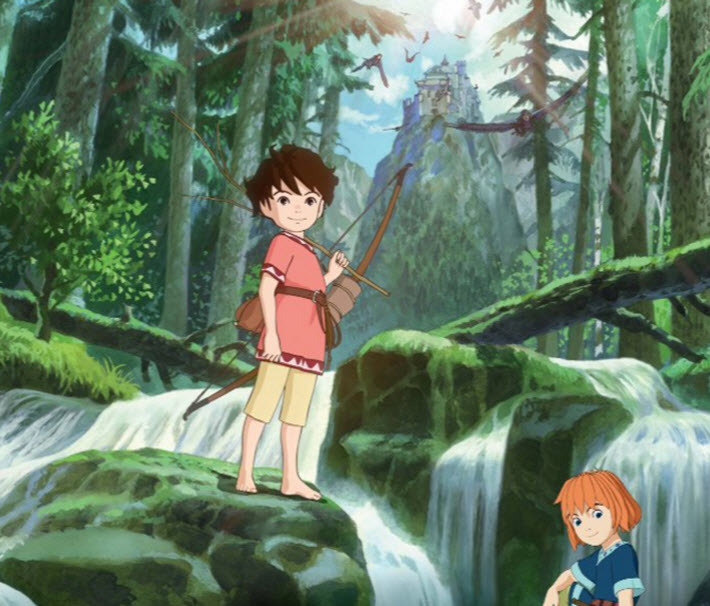 Amazon Studios’ children’s programming division has produced this English-language edition of Gorō Miyazaki’s animated film. 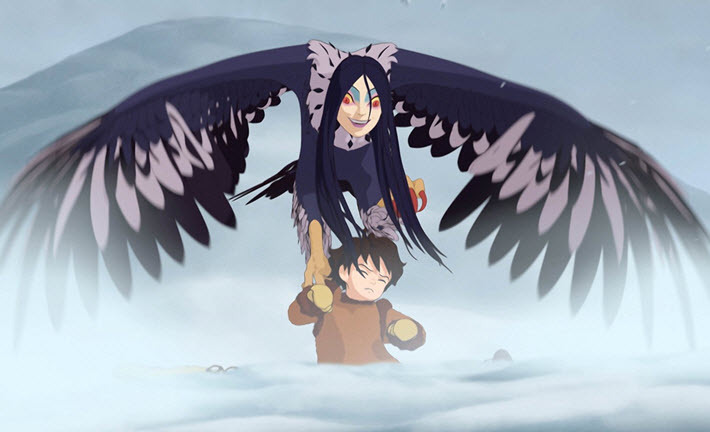 In its 2014 Japanese television adaptation from NHK Enterprises, Sanzoku no musume Rônya, the piece has won an International Emmy in the category of kids’ animation. There’s also a 1984 Swedish film edition of the story with a screenplay by Lindgren. That adaptation is reported to have won a Silver Bear at the 1985 Berlin International Film Festival. It’s said to have been Sweden’s most popular film of that year. 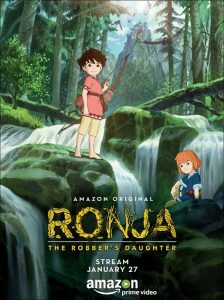 The Amazon animated series—26 episodes—is from Japanese director Gorô Miyazaki, with narration by Gillian Anderson and voice work by a new cast, a production of Studio Ghibli and the Astrid Lindgren Company, Saltkråkan. Amazon’s promotional materials cite the original book as having sold some 10 million copies since its 1981 release, with translation into 41 languages. “Ten-year-old Ronja (Teresa Gallagher), was born on a stormy night in a mountain fort, surrounded by her father (Rufus Hound), mother (Morwenna Banks) and a loving band of robbers. She grows to be a strong girl, and discovers that the forest is both a beautiful and frightening place inhabited by strange creatures. “She befriends Birk (Kelly Adams), the son of her father’s rival, and so begins the drama of her friendship and family loyalties. The production slots into Amazon Originals’ kids-and-families portfolio and will be released without charge to Amazon Prime members.